One of my favorite things about Fridays are the morning snuggles in our bed. Since Cohen doesn’t have school on this day, the four of us cuddle up in bed with our milk and cereal, and watch cartoons until we feel ready to get up and get going. I can’t tell you how good it feels to start the day off on our own pace – it is the perfect way to end a long week! However, you know what I don’t love – leaking sippy cups. The other day Lola’s cup decided to leak all over my nice clean sheets and freshly laundered comforter. I’m quite certain that the majority of the milk ended up on my linens and not in the cup. No matter how tight I sealed the lid or how hard I pushed in the valve, the milk would somehow find its way out. I was on a mission to find a leak-proof cup for my Lola Girl. But I’m rather particular when it comes to my sippy cup collection. 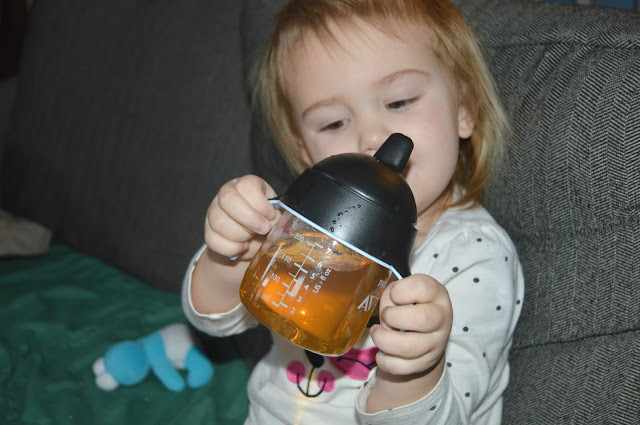 Philips Avent has always been a brand that I have trusted with my family so when the opportunity arose to try the new My Penguin Sippy Cup, I was beyond thrilled! 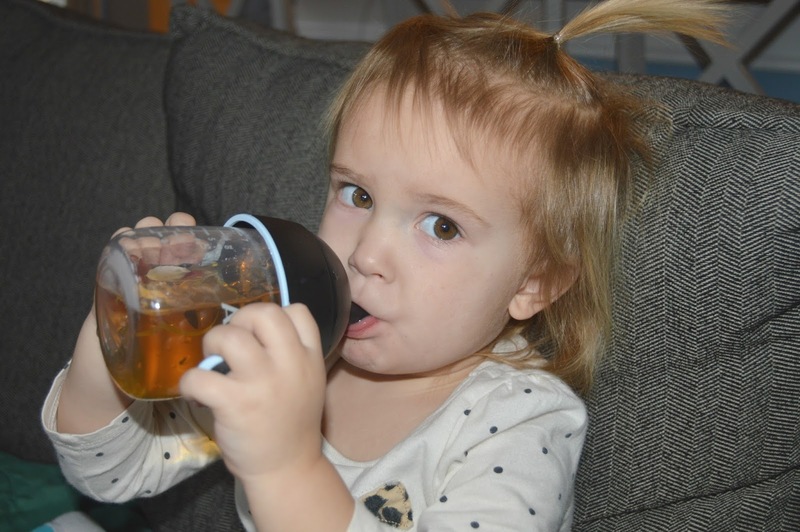 –My Penguin Cup has an angled spout with a built-in valve for 100% leak free drinking. 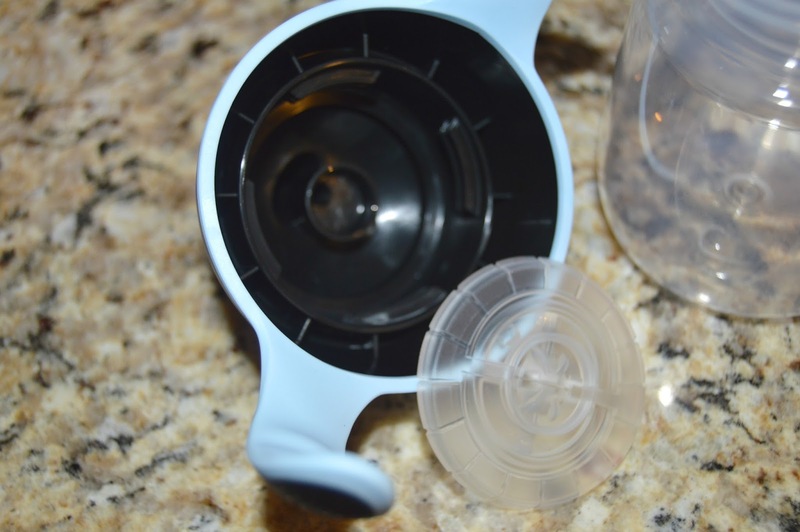 (The valve is so easy to put back into the cup – my husband seriously didn’t believe me when I showed him!) This also helps develop a natural drinking position. –It has trainer handles with soft grips that are integrated into the cup’s shape – this helps toddlers hold it independently. –Most importantly, the cup is made from BPA free material and all parts are dishwasher safe for easy cleaning! Another one of my favorite features are the measurement marks on the side. My poor Lola has tummy troubles and has to take medicine dissolved in juice on a daily basis. I like to dilute the juice with water, so the the measurement marks have helped me ensure that I am giving her more parts water and less parts juice. Plus the cute penguin design has actually made Lola want to drink her juice when usually it is a chore to get her to do so! I am definitely sold on the Philips Avent My Penguin Cup. Our Friday morning cuddle fests have continued on, but this time with less of a mess, which means more snuggle time with my littles! 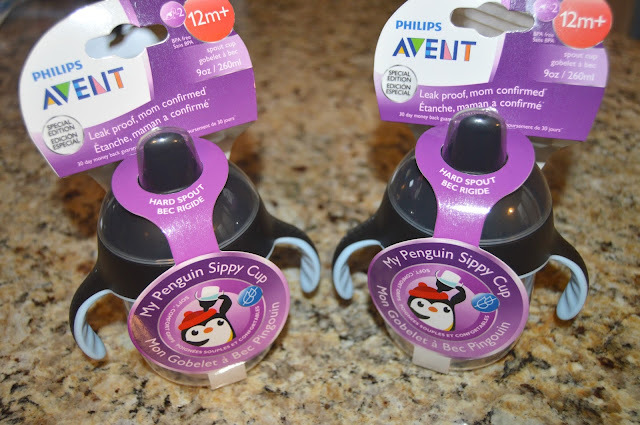 Visit Philips Avent online to find your closest My Penguin Cup retailer! But you better hurry because this a winter exclusive cup that is only available for a limited time! What are your favorite sippy cup features for your kiddos?